Do you ever feel uncertain about what your students are seeing on their screens? BE NOT UNSURE! 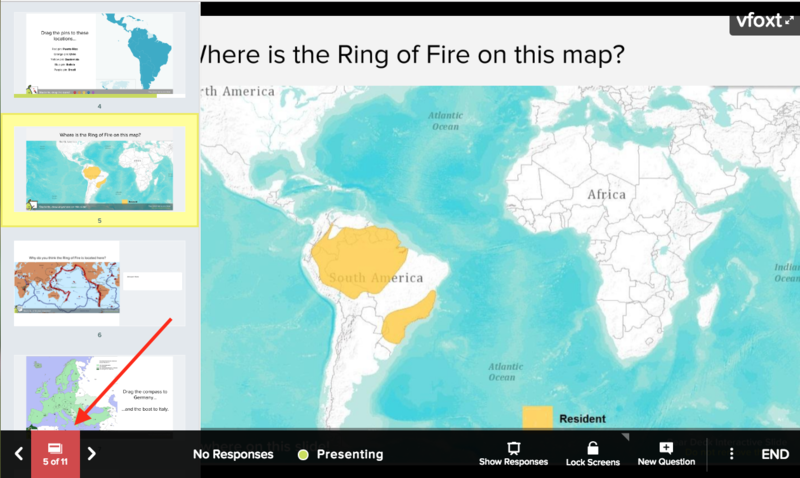 When you create your Pear Deck file, you can always preview the interactive response type at the bottom of the slide. The interactive response option if you have added one. If you have, it will be in the Pear Deck bar at the bottom of the slide. Here is a Pear Deck interactive slide. The Pear Deck bar at the bottom of the slide indicates that it's interactive. It also tells you which type of interactive question (Text, Multiple Choice, Number, Website, Drawing, or Draggable) students will see. This is a Draggable slide. 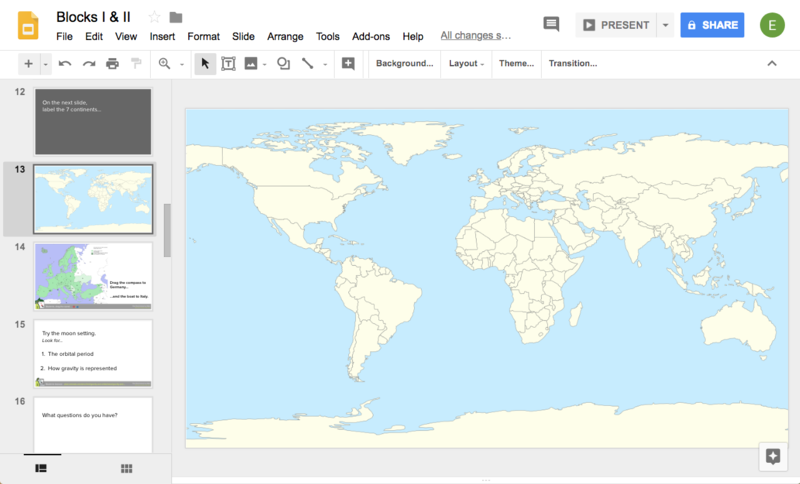 When I present this lesson, students will be able join my Session and, when we reach this slide, drag the three flag icons over this map on their screens. Try it out before class! 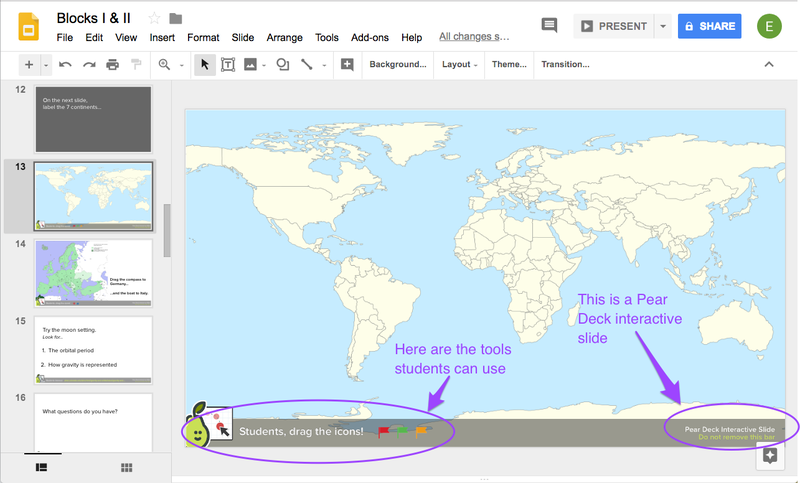 There is no limit to the number of Sessions you can present with Pear Deck. You can even join the Session as a student to see exactly what they'll see. When you're ready, click Present Lesson. This will open a new Session. Then you can go to joinpd.com in a new tab and join your own Session. 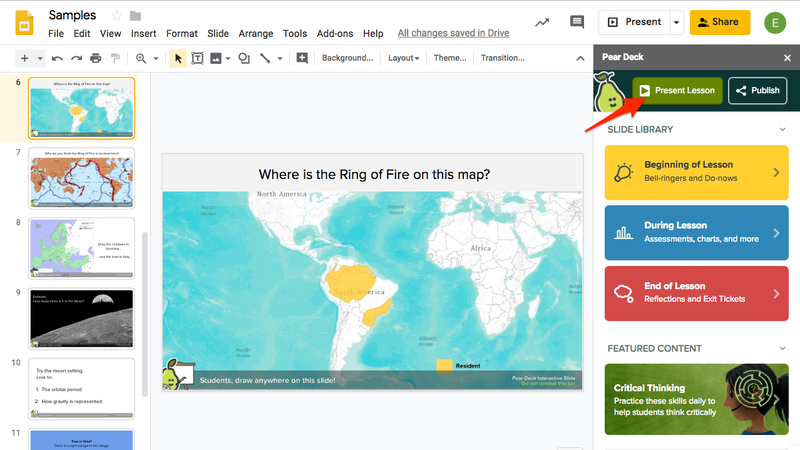 You can even turn on Student-Paced mode on the Projector View to navigate through all of the slides independently on the Student View. This is particularly helpful when reviewing pre-made decks like those that are part of the Be Internet Awesome Curriculum. When you present a non-interactive slide, students will see the exact same thing on their screens that they see on the Projector. Learn about The 5 Interactive Question Types in Google Slides. Want to change the question type? With your slide open, go back to Ask Students a Question and click on a different question type. Or, click on the same question type again to modify the options. For example, you can change the Draggable shapes or multiple choice responses this way. Only the main slide content displays on the Projector View. To remind yourself what students are seeing, click on the Slide Navigator to open the slide drawer. The slide thumbnails show you exactly how the slides appear on the Student View. Once you start presenting, it isn't possible to edit the slides in that Session. But you can insert a new question during a live Session! How do I see Student Responses?